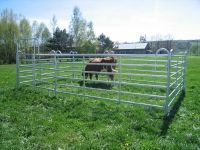 Soon we will start manufacturing corral panels for cows, claves, sheep, pigs and horses, which are so built to withstand years of continuous use. 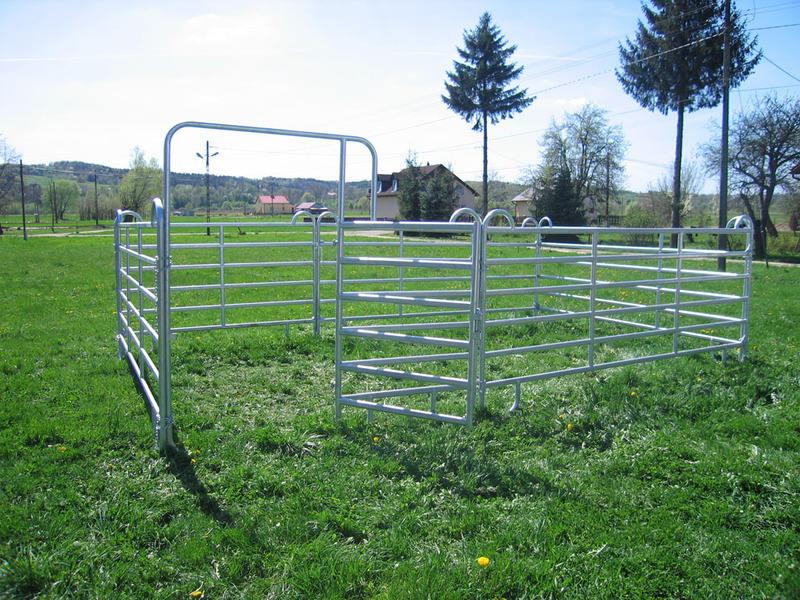 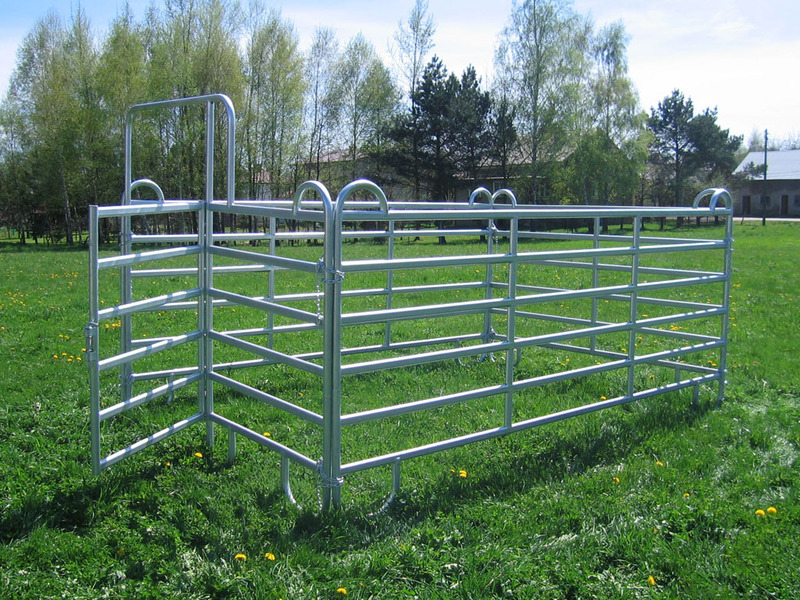 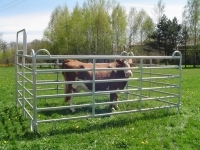 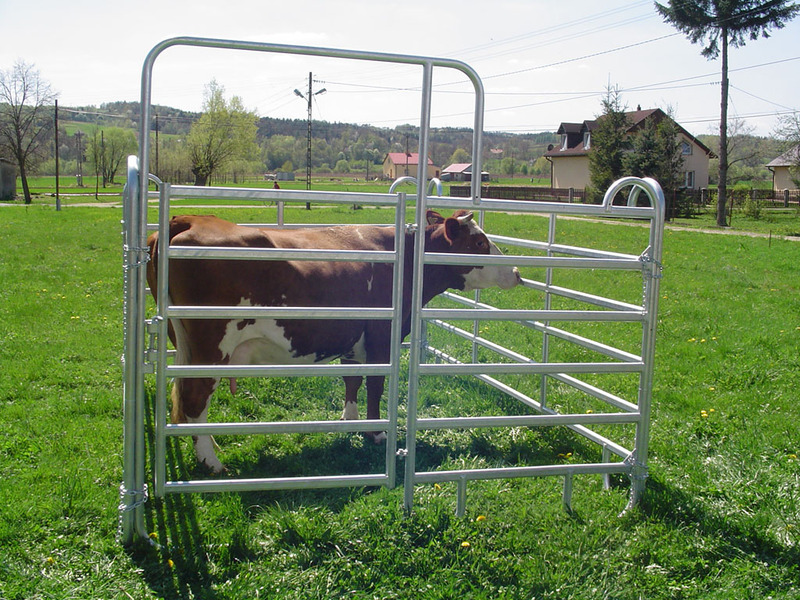 Corral panels possess heavy duty and animal safe steel design. 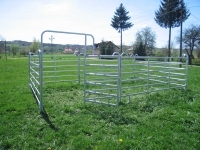 Panels are comprised of easily transportable identical frame pieces attached together to form an expandable enclosures that can be assembled into a multiplicity of configurations. 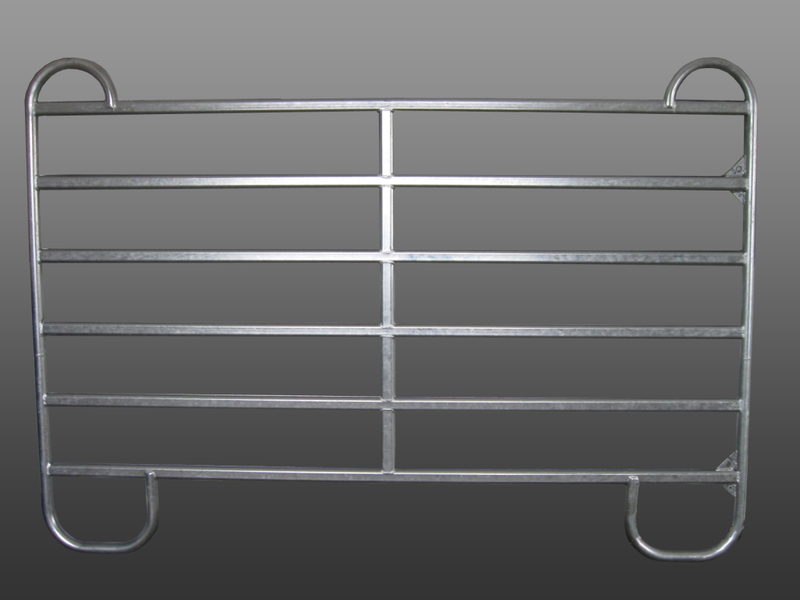 They are composed of a heavy gauge bar design with a strong vertical centre support in the middle to make the panels structure stronger. 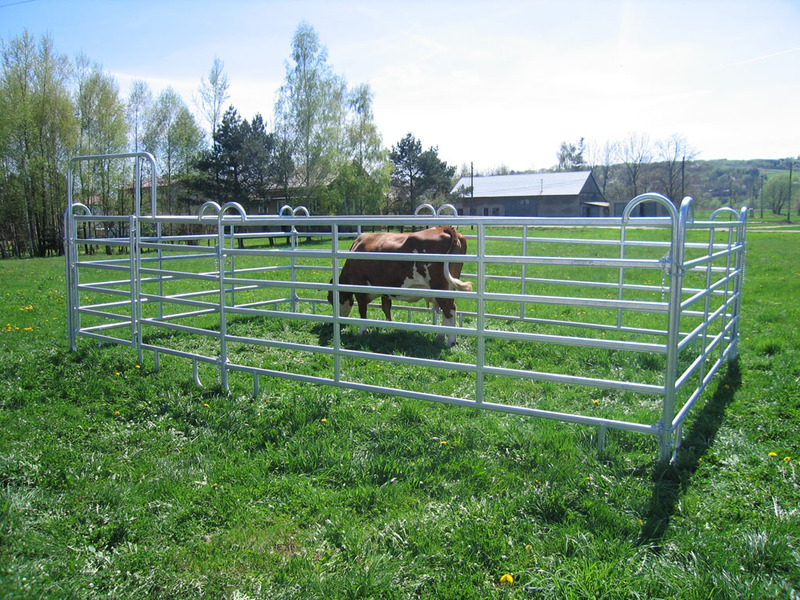 Panels are hot-dipped galvanized for maximum corrosion resistance and long life durability. Panels are very easy to set up and dismantle. 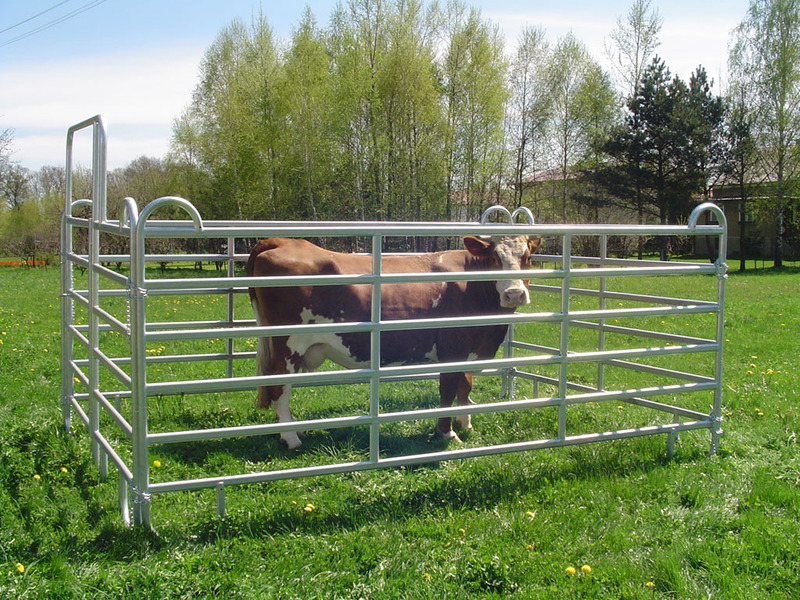 They are joined by means of chains. Additionally, there are stabilizing posts, the base of which can be fixed to any ground by means of 4 screw hooks for permanent use. 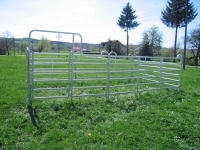 They are perfect for rounding up cattle or sheep in the fields, penning calves, horse runs and arenas, perimeter fencing, cattle gateways and a variety of other uses. 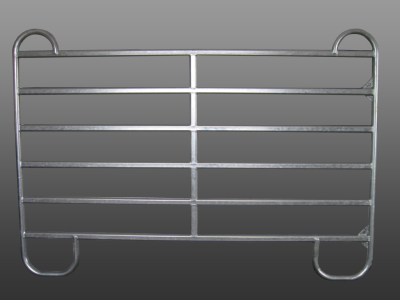 Our panels are manufactured according to customers’ requirements.